FLUXiM AG provides simulation software and measurement hardware for research and development of displays, lighting and photovoltaic cells in industry and academia. Design and optimization of organic, quantum dots and perovskites-based LEDs and solar cells is possible with our products. Modeling software and measurement hardware for OLEDs and quantum-dot lighting and displays. Simulation software and hardware for organic, perovskites, and other thin film photovoltaic technologies. Modeling the optical and electrical characteristics of OLEDs and solar cells. A complete software suite for simulating light emission, absorption, light scattering and charge transport. A flexible FEM-solver to model large-area OLEDs and solar cell, but also displays and PV modules. Electrical, Thermal and Optical simulations are all possible with laoss. 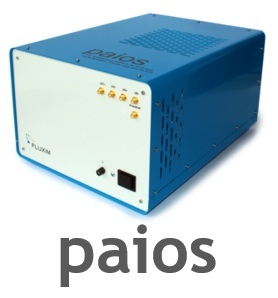 Paios performs various opto-electrical experiments on solar cells and OLEDs with one click. Store measurements in a database, analyse, compare and post-process them directly in the Paios software. 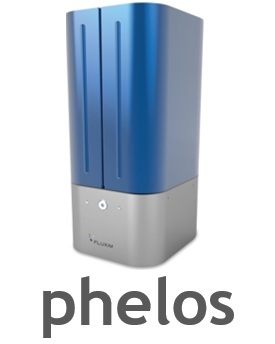 Phelos measures the electroluminescence (EL) and photoluminescence (PL) of OLEDs over various angles. From the experimental data the emission-zone (position and orientation) of the device can be determined. Litos is a stress-test system with multiple channels to perform accelerated degradation analysis on OLEDs and solar cells. FLUXiM is contributing to the display week 2019 in San Jose with several oral and poster presentations.